As an inbetweener I know how difficult it can be to shop for clothes, especially online. If you are not familiar with the term "inbetweener" or "inbetweenie, it is an individual within the sizes 10-16. The word speaks for it self you are not a straight size (0-9) but you are not really a plus size (18-up) either. Now do you see why it can be so frustrating when shopping. Clothes are usually to small or to big when it comes to finding the right size. The legs are too tight but the waist is loose or vise versa. Our body is beautiful and we shouldn't have to feel uncomfortable in too small clothing or appear larger in over sized clothing. Who has money or time to get all of their clothes altered. 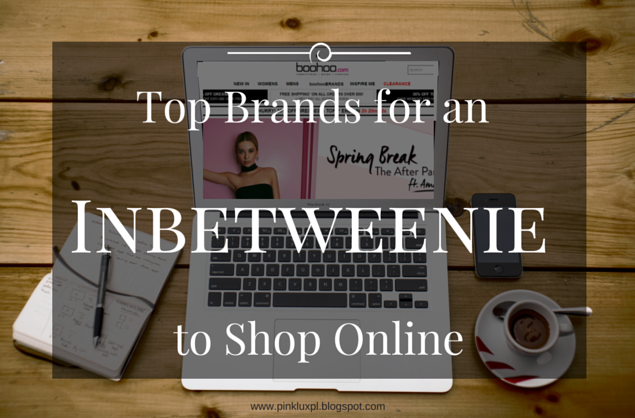 If you are an inbeweener you are on the right place because I am going to share with you the best places to shop online! If you are a petite inbetweener these sites will be perfect for you too. I am 5'3 and a size 10-12 if I have no issues I know you won't. I have shopped at all of the stores below and I never had any issues. The clothes were made for my inbetweenie body. I will also share some tips when shopping on the websites so you can get your perfect fit! If you have been following me since the beginning or you know me personally then you know Boohoo is one of my favorite stores. They have up to date trending styles and all the essentials you need in your wardrobe. The clothes are also a great quality and fit the inbetweener body pefectly. Boohoo is originally a UK based store but is now in the US. Yayy. This is an online only store but they ship just about anywhere in the world. When shopping on the site I recommend selecting true to size. Also, remember if it states UK size take your regular size (example 10) and add four so you would order a size 14 NOT a 10. Dorthy Perkins is also a UK based site but now has an office in the US. I love their dresses the best part is they have petite, regular and tall lengths for all inbetweeners. No more worries tall girls they have what you need. Their site has something for everyone's style: classic, relaxed, modern, retro, and more. New York and Company was the only and first store I shopped at when I obtained my first office job. Why? Because they were the only site that sold petite length dress pants that fitted all my curves. In other stores the legs were always to tight or the pants leg where to long. (story of my life) So if you are a inbetweener and need business attire I highly recommend this store. This store is also available in malls but they never have all the cute stuff like online. Also, instore rarely has my size and length so I don't want to waste time I just shop online. This store runs true to size. I like to shop at Simplybe for shorts because unlike other stores they are long enough not to ride up. You know what I am talking about...you buy short only for them to come up in the middle and your thighs rub. Every so many steps you have to pull them down or you walk funny trying to make your thighs stop rubbing. It's just an uncomfortable look because your cautious about your shorts the whole time. Say NO to ridding up shorts this spring and summer. Use #norideup on Twitter if you get what I'm dishing out! This store is true to size. This store is one of the online leading retailers and I totally understand why, they have something that will fit every size, budget and shape. Looking for trending items, essentials, or just random styles this is your site. They even sale cosmetics now! If you are an inbetweener this website is golden. (write this down in your phone notes so you won't forget or save to favorites in your web browser.) This site runs true to size. Swak is a new store I discovered when shopping for a client. 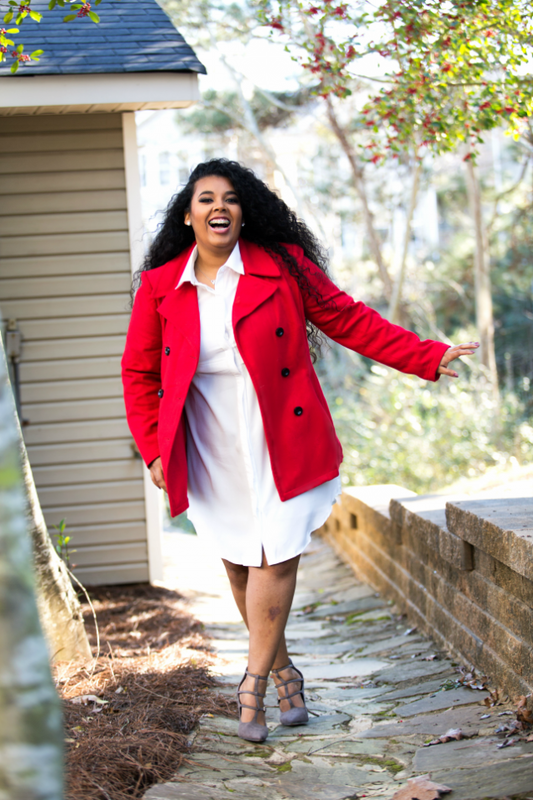 This site has very stylish items for those sizes 14-36. Want cute everyday items? This site is for you. Want items that look amazing on your body? This site is for you. This site runs true to size. oh wow! This is wonderful. I didn't know about SimplyBe, Giti and Swak. Thank you very much for sharing this. First I had to find out what an inbetweenie was. That's a new one. Found out I'm a plus size. Saw you on Talk of Alabama and wrote down the blog address. Keep up the great work. Hi C-ING. Thank you so much for checking out the blog. The inbetweenie group has been looked over and I plan to bring attention so us short curvy girls don't have to alter all of our clothes. lol. Stay tune for events and workshops in April-May. It is difficult to buy dresses specially online, It becomes the problem for size It may be small or big in size. Get best and latest designer Womens Dresses Online which is best in size at wholesale price. There are many online fashion sites, I am looking for best and cheap online sites to buy apparel for upcoming Christmas. Buy the best and affordable Wholesale clothing at discount prices on mybelovedusa. We have received reports of potential data breach on our website due to a hacker attack. We are NOT taking these reports lightly and are working with the authorities to investigate the nature and scope of the incident. Looking for Women's Western Dresses Online ? Visit eAlpha, a complete Women's Dresses Online Stores for clothings and accessories. I found so many interesting stuff in your blog especially its discussion. Search out the top womens clothes shops near me which sale in affordable price. Very well written and beautiful content. To get best fashionable Women's Western Wear Online check the eCommerce websites available.